So how do people grow in the liberal faith? Rev. James Forbes talked about another Great Awakening to come (at his sermon at the UUMA Center Institute last month). He even said that UU's might have been anointed to play a special leadership role in it. Is that too woo-woo for us to hear? I do believe that the nation is on the eve of a Great Awakening of the Liberal Spirit. It would be a movement of the Spirit: a widespread, self-replicating spontaneous spiritual development. We know that a new progressive majority has been forming in the political world. We know that the young are creating a culture more comfortable with diversity and more liberal culturally than ever before. B. A. Gerrish, writing in the The Oxford Companion to Christian Thought summarizes John Calvin as believing that "The vocation of humanity -- their unique role in the created order -- is to render continual thanks to the Father and the fountain of Good." Or, as Calvin is often paraphrased -- the purpose of Man is to Glorify God. Even though he was a Reformer, Calvin had not strayed far from Medieval thought that God was the center of everything. Think of Dante's view of Paradise, the most boring of the three books, because it describes banks and banks of angelic choirs all singing in the Glory of God. Humanity, at least while it lives, is the back row of the choir, inattentive and goofing around. You remember that I have suggested that there are three periods of modern UU history: 1961-69 (Liberalism Ascendent), 1969-2008 (also known as the Wilderness Years) and 2009-Present (Now). I have been reading some about the period of 1969 to 1980. In US history, it is the period of Nixon, Ford and Carter. In UU history, it is the Presidencies of Robert West, Paul Carnes, who died in office and Gene Pickett, who filled out his term and was then re-elected in 1981. OK, Count me as a slow learner. Maybe everyone else already figured this one out. There is an almost unresolvable contradiction in our congregation between being inclusive, welcoming and democratic on the one hand, and having a transformative mission on the other. It is almost inevitable that the direction setting power in the congregation will rest with the people who are satisfied and content with the way the congregation is right now. Shannon (@ladyskysong) tweeted in response to my post on abolishing "membership" in UU Churches. A very perceptive question, and one that I had not thought about explicitly since yesterday. 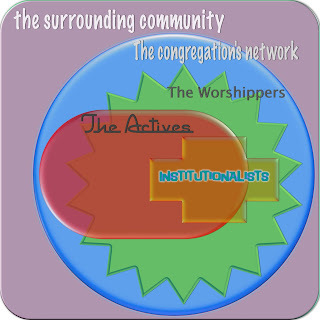 "How would eliminating the general membership category change the power dynamics in a UU church?" Like I said, my brain is catching up with my mouth on this. My first premise is that churches and congregations ought to be mission - driven institutions. as opposed to merely democratic institutions. Power should be in the hands of those who are most committed to and active in fulfilling its mission. Right now, this is not true in most congregations. Right now, there is a lot of power in the hands of those who like the church as it is, or as it was, and that power is used to keep things as they are. Constantly striving to overcome the contradictions or negatives that inevitably arise in the course of struggle, constantly challenged to break free from views that were at one time liberating, but had become fetters because reality had changed, we are required to create new ideas that make more concrete and more universal our concept of what it means to be free. (page 58 of the Nest American Revolution.) Tell me more about this "dialectical thinking" and how Unitarian Universalism can get itself some. First of all, you should watch Downton Abbey with a copy of P. G. Wodehouse's collected Jeeves and Bertie Wooster stories in hand. They are set in roughly the same period, and depicts all the same characters as twits. Secondly, you should remember that the Great Houses of the English Countryside are now museums and tourist attractions. The feudal mode of production depicted in the story was not economically viable. Whether Matthew Crawley and/or Tom Branson "modernize" or not, the Crawley's are not going to be able generate enough surplus out of the small scale farm production of essentially tenant farmers to sustain even a fraction of their life style. And every time you turn around, the younger people "in service" are headed off to get real jobs. The housemaid who became a secretary, for example. I predict that Daisy will be gone soon, to manage a farm, instead of being an 'assistant cook'. 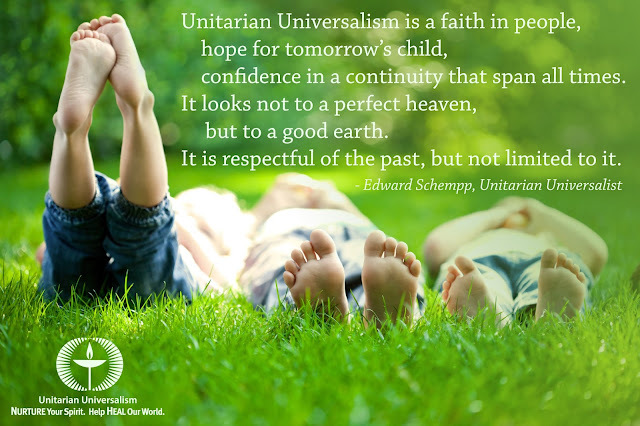 Unitarian Universalism became internally focused on what we do wrong. It got anxious. Name a single thing we all, or just some of us, do well, and immediately a critique comes to mind. We are fixated on how we do not live up to our own standards, or to the task that is required of us. I think that stems not from the loftiness of our ambitions, but from our sense of failure, as evidenced by our lack of growth, our demographic isolation, our membership churn, our inability to retain our youth, our cheapness, our clubbiness etc. etc. etc. The lens that I am looking through in thinking about modern UU history is our relationship to the social-political-cultural history of the USA. 1961-1968: Merger creates a new liberal denomination at a time when liberalism was ascendent in the culture. The Civil Rights movement, especially, creates a cultural space in which liberals feel that they are making progress. Lyndon Johnson turns the awful tragedy of the Kennedy assassination into a progressive triumph, winning a landslide election and in the 1965-66 period passing a series of foundational progressive laws, including Medicare and Medicaid. A War on Poverty is actually considered. My colleague, Robin Bartlett Barraza, pointed us all to the following article, "10 reasons why our kids are leave church' The blogpost was written by an fundamentalist (my opinion) and blames the loss of young people from conservative churches on the efforts of evangelicals to be relevant and hip, and for offering a subjective, internal, feeling understanding of salvation. Instead, he urges Christians to return to offering something much more counter-cultural -- the timeless, external and objective truths carried by the Christian tradition. RBB saw some parallels to us in the UU movement, particularly, (quoting her, "I think the feel good messaging not ringing true, the lack of tradition (or bowdlerizing the tradition) and substance (or lack) being found in the secular world is right on." My colleagues, Judy and Paul, ask these questions of my recent post on our spiritual mission. I said that our mission is to help people develop a cluster of virtues (I named self-possession, reverence, honesty, humility, gratitude/generosity, openness and fairness, only as suggestions and not as a code). I said that I thought these virtues were transformative in individuals and transformative in society as a whole, and that by seizing this mission, our churches and congregations would become transformative, themselves. Judy and Paul ask questions that ask me to explain the connection between my virtue and character oriented spiritual mission and the traditional questions of Christian soteriology. What role does God play in our transformation/salvation? How much of our salvation is the result of our efforts and how much is grace? I define "Liberal Religion"as being three premises about religion. All religions are the product of culture. They are the cultural productions designed to answer some fundamental and widely shared questions about human existence. Cultures and civilizations around the world do not share the same understanding of those human questions; as a result, the religions of the world are different and not "the same under the surface. "No one religion contains any special revealed knowledge that is final and authoritative. No one religion is more true than another.Religions can be evaluated, to the extent that even need to be compared, by the effect on the life of the adherent. Many people share these liberal premises about religion, including many adherents of various religions and many who claim no religious affiliation at all. Besides the dysfunctions you mention in your piece that center around our understanding/misunderstanding of political theology, we suffer from having no coherent spiritual mission to offer in most of our congregations. . . . I think that our spiritual mission is incoherent because it is largely unarticulated. And it is unarticulated because we have not developed and used the appropriate language to describe it. We can't talk about our mission as promoting certain beliefs. We could never agree on them. And we can't talk about our mission as promoting certain practices for the same reason. During the summer of 1970, I traveled throughout the American west in a diaper truck that had been converted into a camper. My companions were some graduate students from Amherst that I had met along the road somewhere. I left a group from the school I had just graduated from, the George Washington University in Washington DC, somewhere in Wyoming. I had graduated "on strike" and under an injunction that a large number of student leaders could not enter any campus buildings. On May 1st, Richard Nixon invaded Cambodia. A student strike call came from Seattle. In Washington DC, we were responding to a student strike call issued from New Haven, where the trial of the New Haven Black Panthers for murder had started. On May 4th, 4 students were killed in Kent State. On May 14, two more students were killed at Jackson State in Jackson, Mississippi.